Shakaia : How Long Things Take To Biodegrade? Today Viva and I were looking at charts. 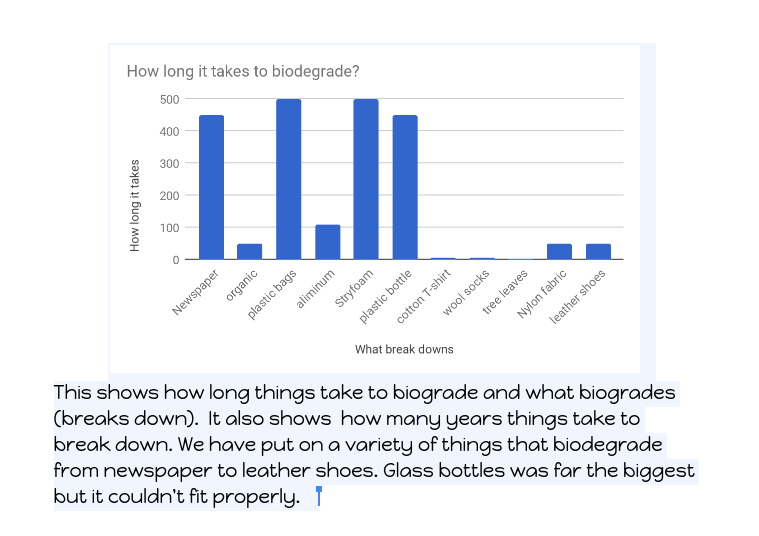 We chose to do how long things take to biodegrade. This graph shows how long things take to biodegrade. Glass bottles take longer to biodegrade because it never does. I found so many facts about how things biodegrade and I wanted to share them with you.